Full Tilt Poker has just announced the details for its latest FTOPS event and this time around there will be at least $4 million on the line for those involved. Kicking off on March 15 and running through until March 29, the 15-day festival will feature 36 events of varying standards and styles. From 6-max NLHE showdowns to ML 25-game super events, the online festival promises to be exceptional value for anyone that decides to ante-up. In fact, to ensure FTOPS XXVIII is as jam-packed as possible, Full Tilt has laid on a string of satellites costing as little as $0.11. By working up from the bottom rung of the ladder, players can bag themselves a seat in one of the main event and play for a slice of a cash pie worth at least $4 million. Not only that, but players that manage to satellite their way into an event and then cash will be awarded a special FTOPS Satellite Hero prize which include tickets to the MiniFTOPS Main Event and $100 in tournament cash. 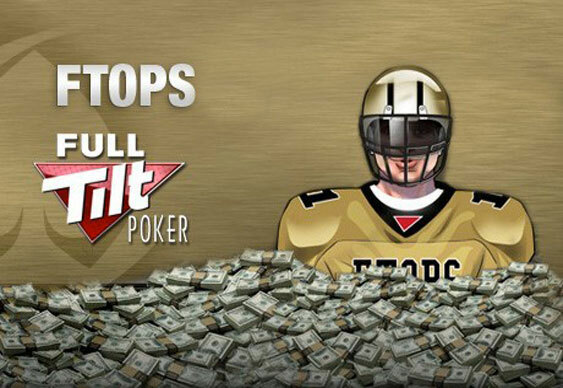 As well as additional prizes for those that satellite in and make it into the money, Full Tilt is also offering its customary gold jersey avatars for all FTOPS winners, as well as a four month Black Card pro sponsorship for the winners of the FTOPS leaderboard races. Satellites for the series are currently underway and if you're looking to take part in the $1,000 Main Event on March 29, you can start grinding towards the action by visiting the FTOPS tab in Full Tilt's lobby.